How It’s Irish: It’s the Emerald Isle of the Catskills, and lots of the musicians not only play Irish music, they are in fact Irish! This article first appeared in Irish Examiner USA. The Catskills Are Wonderful In The Summer… Why Not Try The Fall? The “Emerald Isle of the Catskills,” in East Durham, New York, is turning red and gold. And it has glorious music. For the fifth year, the Annual Banjo Burke Festival takes place over Columbus Day Weekend, featuring music and set dance workshops, concerts, seisiuns and ceilithes. Gavin’s Country Inn is holding its fourth Guinness Music Festival that same weekend. 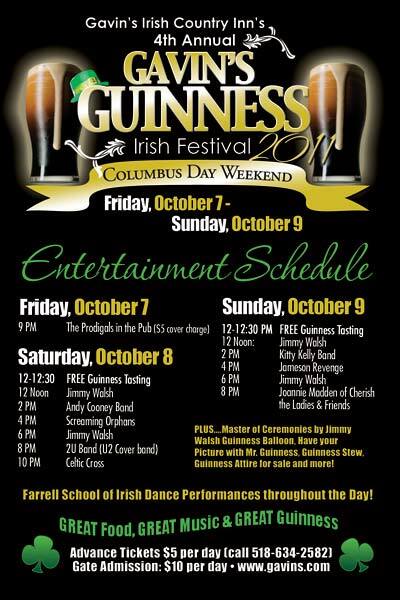 That also kicks off Friday night, presenting Irish rock/showbands on Saturday and traditional music on Sunday. There are other festivals too this weekend: the Apple Harvest Festival in Cairo includes hayrides, a 5K run/walk, music, storytellers, and apples of course. In Windham Mountain, there’s an Autumn Affair and Homecoming Weekend, featuring Classic Cars, chain saw sculpture demonstration, pony rides. So there’s something for everyone. “It’s a little bit more relaxed,” says Sharon Molloy, co-owner of Hollowbrook Inn. And then of course there is the foliage. The second weekend of October is prime peak leaf-peeping time. Fiddle player Brian Conway remembers going to the Catskills on weekends as a young man just to hike and enjoy the leaves. The rustling Catskill Creak underneath the back patio of the Yellow Deli (formerly Oak Hill Kitchens) is cool and refreshing in summer. The green leaves on overhanging trees would be turning gold and gorgeous now. 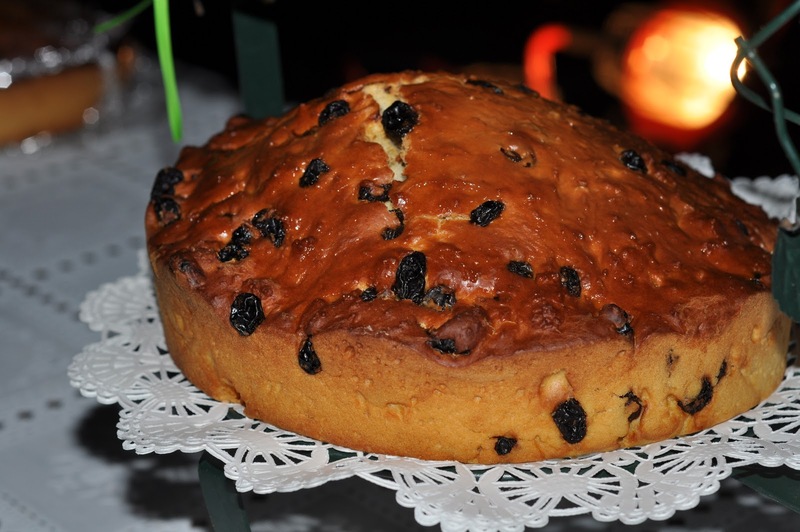 What resonates with many people in the Catskills is their homebaked goods and Sunday brunch. There will be sessions there on Saturday night, and on Sunday. Gavin’s Country Inn has an outdoor stage for the Guinness Music Festival, so you can listen and look at the golden leaves at the same time. The stage was finished just before Labor Day (so you didn’t see it if you were up for Catskills Irish Arts Week in July). The Festival was moved up to the holiday weekend this year to encourage more visitors, and people who close their summer homes that weekend. It’s also the first time the Festival has been a two day event; there’s a “Guinness Tasting” on Saturday, the Irish rock/showband day. Artists include Andy Cooney, Screaming Orphans, the cover band 2U and Celtic Cross. Jimmy Walsh emcees as well as plays. During the chilly evenings, the music moves inside to the pub. Sunday at Gavin’s is the traditional music day, headlined by Joanie Madden, of Cherish the Ladies. Jameson’s Revenge, Jimmy Walsh and Kitty Kelly also perform. Kelly is doing double duty: she is participating in Banjo Burke weekend too. For Gavin’s, Irish traditional music is new, but “it seems to be up and coming,” says Bernadette Gavin, general manager and daughter of the house. She grew up in the business. The hotel always had showbands but when it first started in 1961, “my grandfather used to have sessions,” she says, so really, it’s not so much new as renewed. The hotel is also hosting the Northeast Tionol, a weekend of classes focusing on pipes and fiddle) in two weeks, which Bernadette describes as “huge.” There’s already a waiting list for rooms. Next weekend is an Andy Cooney weekend and wine tasting. Then the Halloween finale, before Gavin’s closes until mid-April. Bernadette finds the bands by visiting other festivals, often to sell the bread that Gavin’s is known for, Nellie Gavin’s irish bread. It’s available on Amazon and at gavinsirishbread.com all year round. Another thing not to stress out about: drinking and driving. There’s a shuttle that takes people around to other hotels in the area (you don’t have to stay at Gavin’s to come to the Festival). One of the places the shuttle will drop people is The Shamrock House. The Shamrock House offers a Full Festival package for Banjo Burke week, all-inclusive of meals, lodging and workshops, and is also hosting some of the musicians. Reservations are on the upswing, Quirk observes. He and his wife bought The Shamrock house from the Kelleher family in 2010. It’s important to him, as it is to the Molloys at Hollowbrook, to promote Irish heritage in the area. During Catskills Irish Arts Week, there is often a line for coffee. He expects to see a resurgence of vitality in East Durham now that Stieffel Labs has announced that not only are they not closing, they’re investing millions of dollars in the local plant. The Shamrock House is one of the few inns in the area that stays open all year. “The music doesn’t stop,” he says. Keeping the music from stopping is one reason Bridget Burke founded the Banjo Burke Memorial Fund (not-for-profit and Foundation). Its mission is to preserve and support Irish traditional arts, and also support Parkinson’s research. Joe “Banjo” Burke, of Kilkenny, died of the disease in 2003, at just 57. He was a man who had a deep impact on many. He first saw Joe Burke playing with Andy McGann and Johnny Cronin at the Bunratty Bar in the Bronx. John Whelan played with him when he first came to America from England in 1980. “How could you not love playing with Brian, Rose Conway, Pauline Conneely, all the great people up here? I respect those who like it enough to want to be better at it. Running a slow jam is an important part of it, to pass it on,” says John Whelan. Teachers/performers during the week include Brian Conway, Pauline Conneely Ronan, Felix Dolan, Tom Dunne, Brendan Fahey, Rose Flanagan, Joy Grimes, Hearts Content, Linda Hickman, The Jameson Sisters, Pat Kane, Terry Kane, Jimmy Kelly, Lawson, Aine Meenaghan, Margie Mulvihill, Iris Nevins, John Nolahn, John Reynolds, John Walsh, and John Whelan. Ceili bands include the Ceol na gCroi Ceili Band and the Pride of Moyvane Ceili Band. For people who can’t get away for a whole week in July, the weekend similarly offers instructional workshops, ceilis, and structured sessions. There are classes in fiddle, tenor bano, flute, whistle, accordion, sean nos singing, and conversation in Irish, taking place in different venues, including McGrath’s, Stack’s Lampost, the Yellow Deli, and the Weldon House. Information Central is at the Weldon House, where people can check in and register. Anyone can attend the nightly concerts, or the sessions around town. You could go take a class, pop over to the Guinness Festival, dance at a Ceili, play in a session. You could do it all. Or do nothing, and walk through the leaves, with Irish music waiting for you in the evening.